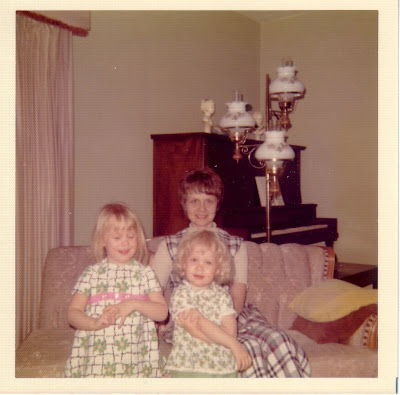 When my sister and I were little, we were known as “The Girls.” Here we are with my mom at my grandparents’ house. I’m on the left, my sister is on the right. Now I have my own girls. This picture is from Mother’s Day. Well, I'm in good company, because the resemblance threw me, too. I was expecting it in Lily, but wow, the resemblance with Emmy…never would have guessed it without your "F3"!